Legacy Recordings, the catalog division of Sony Music Entertainment, announces the label’s line-up of collectible 12″, 10″ and 7″ vinyl releases created especially for Record Store Day’s Black Friday 2014, celebrated this year at the nation’s independent record stores on Friday, November 28, 2014. For RSD Black Friday 2014, Legacy is offering a range of RSD exclusives and numbered limited vinyl editions, catering to connoisseurs of classic sounds delivered old school. Leading Legacy’s RSD Black Friday line-up this year is “Sue (Or In A Season Of Crime),” a 10″ vinyl single premiering two new tracks by the legendary David Bowie. 1994 is represented with the 20th anniversary editions of Aaliyah’s Age Ain’t Nothing But A Number (in a 12″ double LP 180 gram white vinyl pressing); Dave Matthews Band’s Recently EP (on vinyl for the first time ever in a 10″ numbered edition which includes the rare “Pumpkin Recently” promo); and OutKast’s breakout “Player’s Ball” single (newly reissued on 10″ translucent green vinyl). Legacy celebrates the 2014 holiday season with a classic vinyl single by the Bessie Smith, the Empress of the Blues, featuring her classic “At the Christmas Ball” c/w “Jazzbo Brown from Memphis Town” pressed on on a red vinyl 7″ 45 RPM single featuring a replica of the original Columbia 78 RPM label. Bessie Smith is the subject of a new biopic, starring Queen Latifah, coming in 2015. This individually numbered limited edition of the Dave Matthews Band’s Recently EP marks the first ever vinyl release of this music. The deluxe double 10″ includes the original EP and the rare “Pumpkin Recently” promo as well as a free download of both versions. Two new tracks from music legend Davie Bowie on a 10″ vinyl single. This 30th anniversary edition of Satriani’s self-titled 5 song debut showcases the magic that helped Joe secure his deal with Relativity Records. This “one man band” recording is remarkable in that every sound on the 5 songs was made on an electric guitar, from tapping on the tuneups for drums and percussion to detuning the guitar to replicate the lower bass sounds. This RSD exclusive is individually numbered and remastered on 180 gram vinyl. In 1962, Miles Davis, Gil Evans and bebop singer Bob Dorough turned the holiday season on its ear with “Blue Xmas,” a jazzy original mocking the commercialism of the Christmas season. This recording, along with “Devil May Care,” another Dorough original recorded by Davis and Evans, is being released by Legacy for Record Store Day Black Friday 2014 as a 7″ 45 RPM blue vinyl single in a brand-new picture sleeve. “Blue Xmas” is featured in Jingle Bell Rocks!, a new documentary about alternative holiday songs to be released this year by Oscilloscope Laboratories. OutKast proved “the South got something to say” when they returned to the stage earlier this year after an eight-year absence. Celebrate the 20th anniversary of their unique sound and influential Southern hip-hop movement with their breakthrough debut single “Player’s Ball” on 10” translucent green vinyl. This limited, numbered single features a rare extended version of the track alongside two tracks from the duo’s acclaimed 1994 debut album, Southernplayalisticadillacmuzik. Celebrate the 30th anniversary of Wham!’s “Last Christmas”–the much-covered yuletide perennial penned and produced by George Michael–with this limited edition 12″ translucent red/green vinyl single which includes a previously unreleased instrumental version of the Wham! seasonal classic, perfect for Christmas karaoke under the mistletoe. The film “Elvis: That’s The Way It Is” provided fans with their first real glimpse of Elvis performing at an absolute peak of his vocal prowess in August 1970. 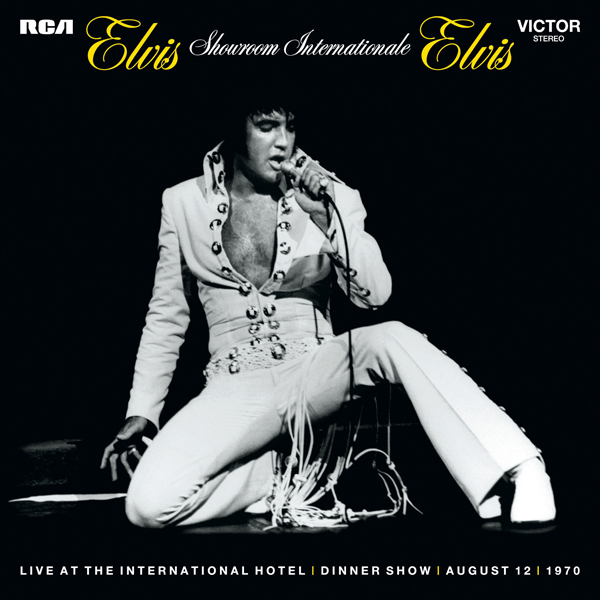 This individually numbered, 17 song, 2 LP set features the King’s full August 12, 1970 dinner show and includes 13 previously unreleased performances. This limited edition, individually numbered 2LP set, pressed on 200 gram audiophile vinyl by QRP, features a treasure trove of unreleased Jimi Hendrix studio recordings from 1969. Hear My Music is an authorized Jimi Hendrix “bootleg” issued by Dagger Records. Released in 1971, The Kinks’ Muswell Hillbillies found the quintessentially British band painting a vivid portrait of working class life in North London, with a sonic palette that drew from turn-of-the-century British music hall and American country styles. Rolling Stone would call it Ray Davies’ “signature statement” as a songwriter. This deluxe 2LP edition features the original album paired with a bonus vinyl disc of rarities and outtakes from the original album sessions as well as BBC sessions recorded for John Peel. The soundtrack to the blockbuster film is now a 2 LP Gatefold (on red & blue vinyl) with 6 songs not found on the CD version. The soundtrack featuring tracks by America, Bee Gees, Electric Light Orchestra, Duke Ellington, Elton John, Tom Jones, Jeff Lynne, Donna Summer, and Wings. Now in its seventh year, Record Store Day is an annual day-long celebration of record store culture taking place on the third Saturday in April, with an annual Black Friday event occurring the day after Thanksgiving. This past February, RSD announced Chuck D as Record Store Day 2014 Ambassador.